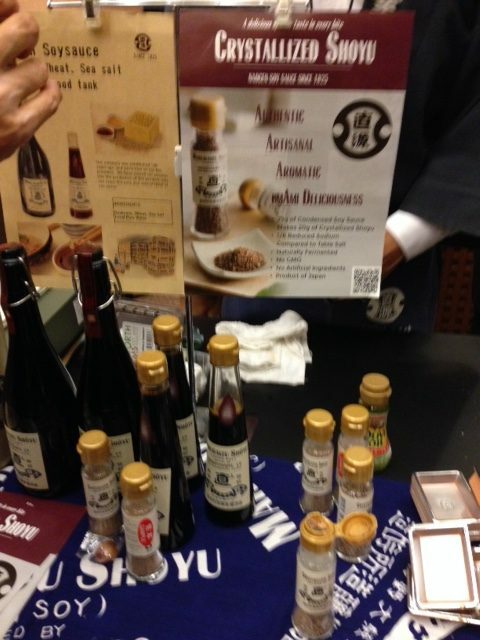 Fall was indeed in the air at Edible Escape’s tasting event hosted by Edible Manhattan. 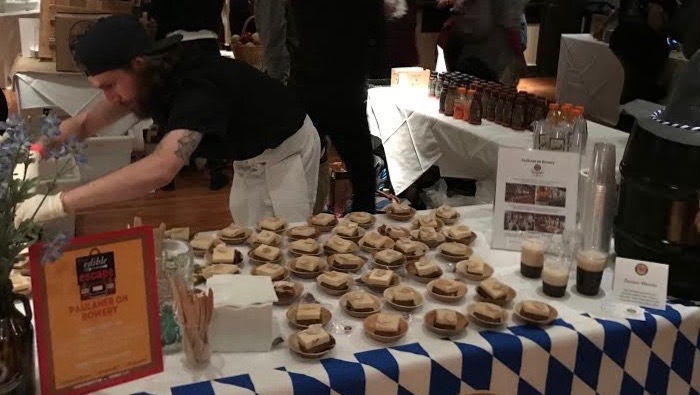 Tastings offered city-dwellers an escape through globally inspired food and drink from around the world with an abundance of fall flavors and seasonal goodies. 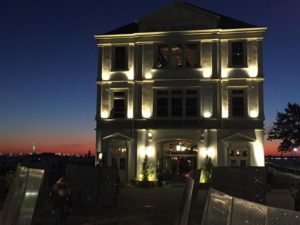 Pier A Harbor House was an amazing setting for the occasion as attendees were treated with a view overlooking the Statue of Liberty, plenty of room to mix and mingle around the tasting tables, and even the opportunity try their dance moves with a tango lesson. 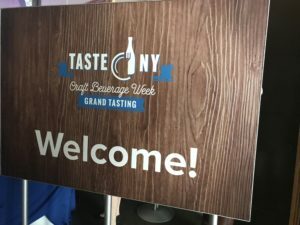 The many notable tastings were presented from restaurants, tea houses, wineries, breweries, and catering joints in the city, as well as in Long Island and the Hudson Valley. Upon entering the top floor of the Harbor House, attendees had no problem jumping right into dessert. First stop for this taster was from the Vienna Calling Catering table, with its hard-to-pass apple strudel. 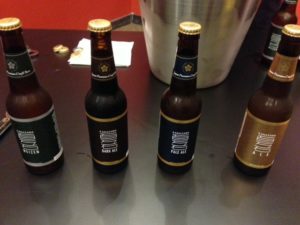 With the fall fruit also on the menu, Brooklyn Cider House offered a flight of ciders made from apples in their own Hudson Valley orchard. 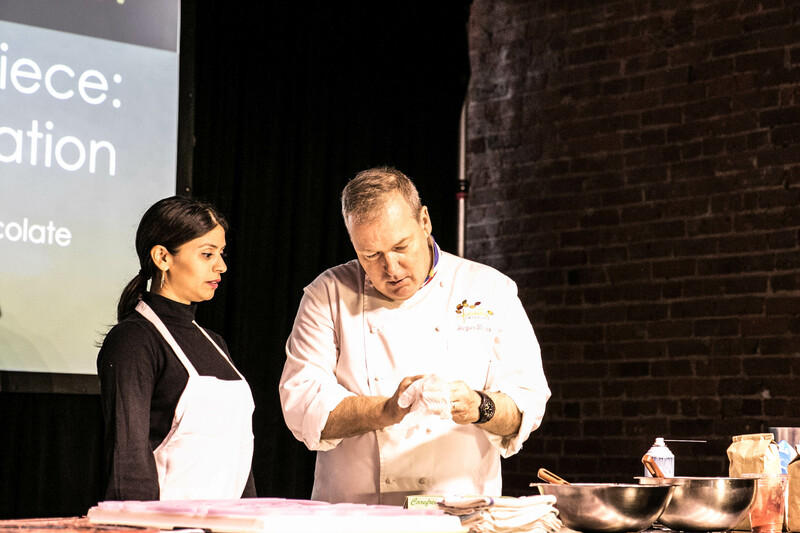 Another fan favorite was the butter chicken dish presented by the chef from Badshah, a modern Indian restaurant located in Hell’s Kitchen. The chef graciously replenished tasters’ bowls with seconds, as the dish was too good to be satisfied with just one bite! As thirst set in, Wines of Argentina’s table graciously filled glasses with a variety of wines from the Mendoza region, its standout being the Trinita Grand Reserve, a blend of Malbec, Merlot, and Cabernet Sauvignon grapes. Wine in hand, one could easily mistake themselves for Buenos Aires as tango music filled the air and aroma from Balvanera’s empanadas and steak tartines with homemade chimichurri sauce drifted. An exceptional stop was at Ghost & Grits, where the Indian born chef fused a ghost pepper jam from his Indian roots with southern-style grits, a nod to his stay in Tennessee for a period of time before settling in New York. Although they do not yet have a brick and mortar restaurant, foodies can try his grits at Smorgasburg. The event also hosted tables with Kombucha beverages, wines from the Loire Valley in France, German style beer and a beer cake dessert, hot and cold tea tastings, cheese plates, seafood dishes, and sake. 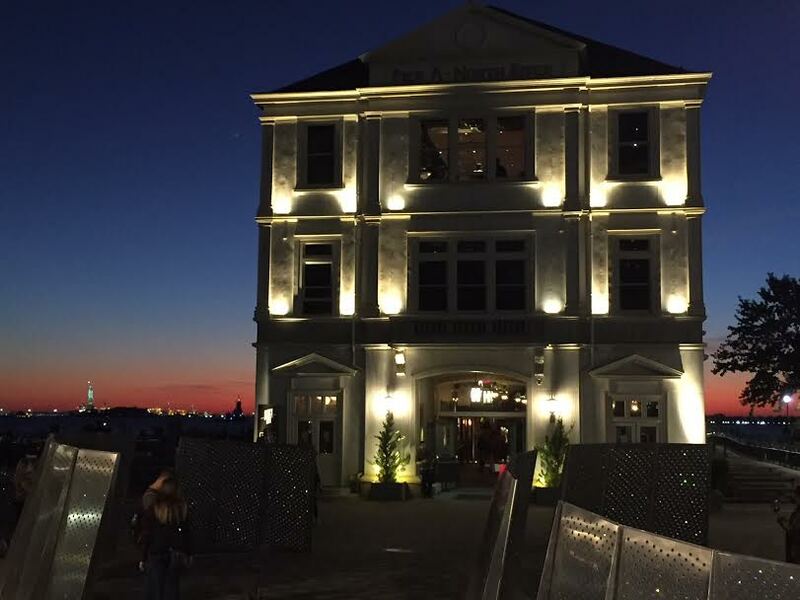 Attendees left Pier A Harbor House, after a world tour of gastronomy and a pallet full of global flavors. 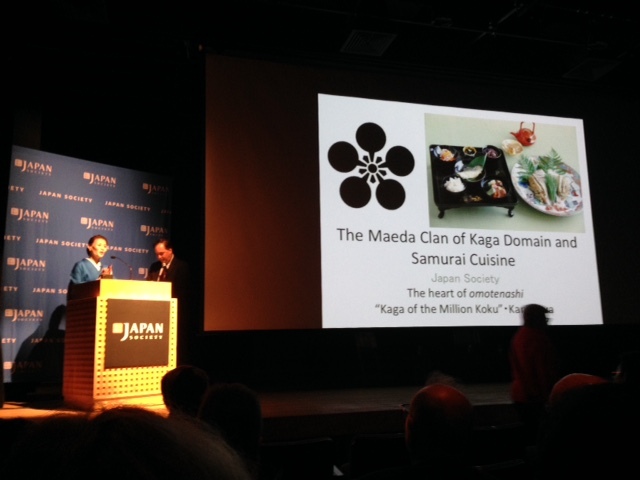 For more information on upcoming events, visit Edible Manhattan and Edible Brooklyn. Imagine a room full of chocolate… Sounds amazing right? 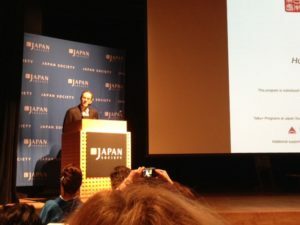 This might seem like a fantasy, but the weekend of October 6th was a dream come true. 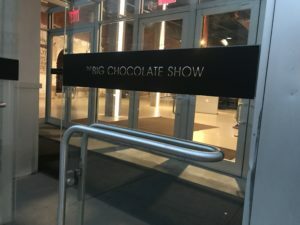 Over 50 notable chocolate makers and vendors of the industry came together to show off amazing chocolates. Since its inception in 2016, The Big Chocolate Show has attracted over 5,000 attendees over the three-day expo, with professional experts, foodies, food editors and fans enjoying up-close-and-personal live demos, tasting and pairing classes and of course, a plethora of samples from chocolatiers around the globe at The Terminal Stores on the city’s bustling waterfront. A notable component to the weekend included the ”Legends” award that honors some of the chocolatey best. This year’s honorees included Sophie and Michael Coe, Ed Seguine, John Scharffenberger and Juan Carlos Motamayor. So I know what you are thinking… Just spill the chocolate beans, Alyssa… what kind of chocolate did you have? Well, I was like a kid in a candy shop! 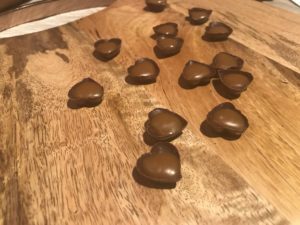 It ranged from all the usual suspects (white, milk, and dark) to drinking chocolate to chocolate with quinoa — you can’t say I did not have anything healthy that night! Soft chocolate with beautiful designs from Chocolate Moonshine was irresistible. Fun political chocolate from DC-based Harper Macaw al la Flip-Flopper (chocolate with huge chunks of toffee). Hoja Verde Had a sweet rose and lemon bar that opened my palate in so many ways. One of the most decorated chocolates was William Dean Chocolates, which follows the artisan tradition of creating every truffle, confection, and piece of chocolate by hand, in small batches. The beautifully crafted treats are truly works of art, exciting the eye and intriguing the palate with interesting flavor combinations and vibrant designs. Both delicious and a treasure to the eye, some of the presentation of some of the chocolate was an eye-popping experience. There were LAZOR engraved chocolates, which were perfect for corporate gifting and party favors. Also, chocolate shape as shoes was totally cute. I attended the date night portion of the show on Friday night which paired chocolatey desserts with a boozy counterpart. Before entering the choco-boozy room, I met Celebrity chef, Mary Giuliani who was promoting her new book The Cocktail Party, which was right up my alley! 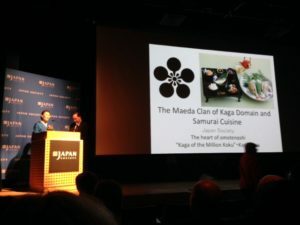 An interesting read, it got me amped up to enter the section of the show dedicated to desserts and spirits. 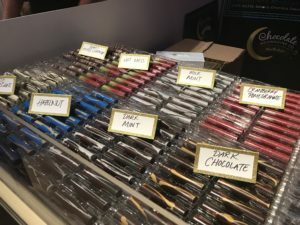 I soon discovered a lot of local sweet shops paired with some of the most delicious spirits in the industry— and of course, there was chocolate. Spirits like the sweet Indian liquors like Somrus to dessert vodkas like Van Gogh paired up with boozy cupcakes and bacon mousse tarts… YUM! Truly an unforgettable experience. 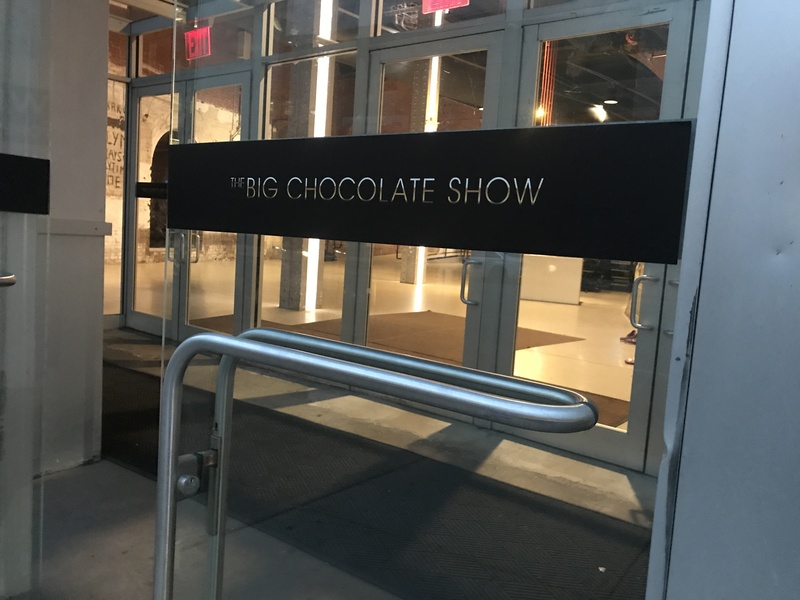 The Big Chocolate show was truly a sweet experience. 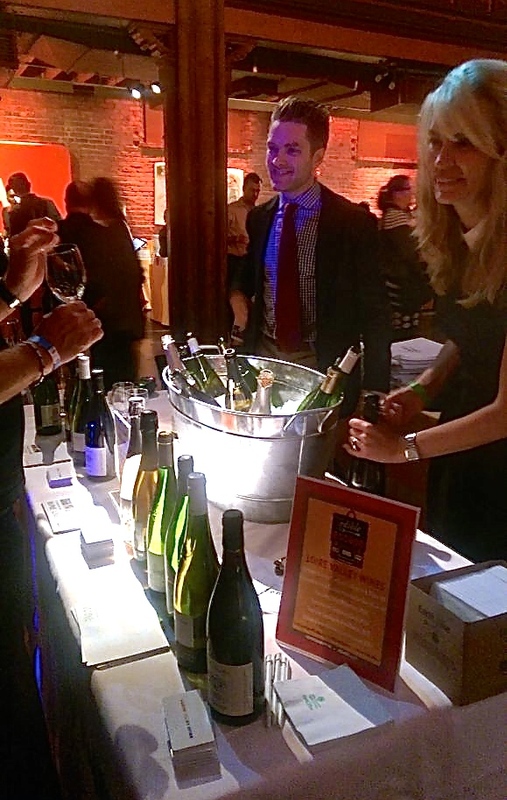 As New Yorkers, we are spoiled to have an abundance of fresh ingredients in our food, only matched by our selection of tasty spirits, beer, wine, and cider – we have it all! 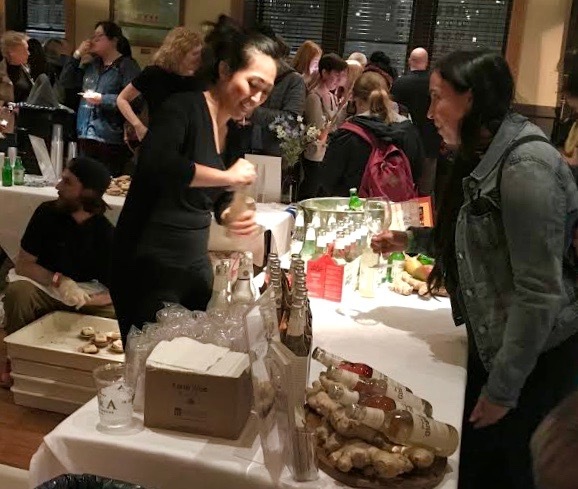 Well, it’s no doubt that the local movement is here to stay and one of our great state initiatives in New York is to promote local food and especially the beverage scene. 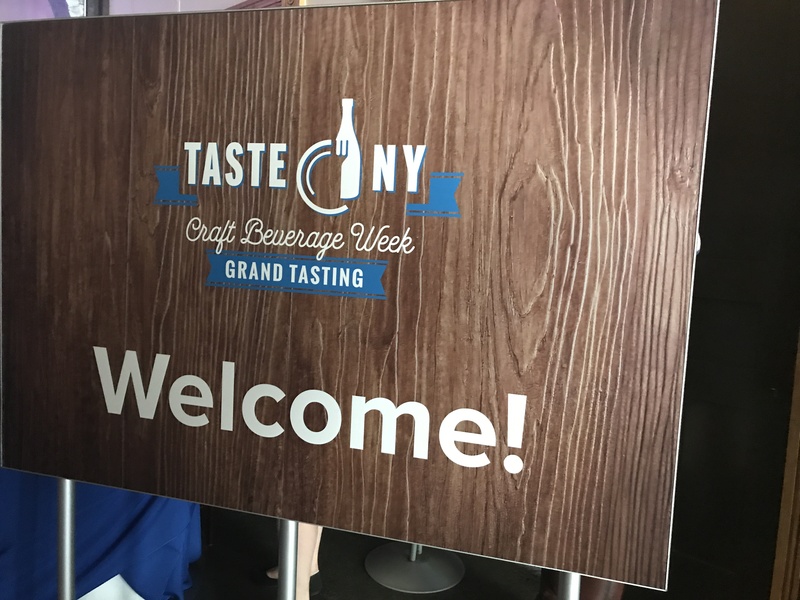 The Taste of NY Experience is a celebration in honor of the first-ever New York Craft Beverage Week started by Governor Andrew Cuomo, which is coming up November 5-11, 2017. The week is designed to promote local artisanal beverage producers from the five boroughs of NYC and reinforce the city as an incomparable travel destination for epicures and drinks enthusiasts. Over 50 local craft spirits, wines, beers, and ciders artisans came out to the landmark Pier A Harbor House to show off their finest liquid gems. 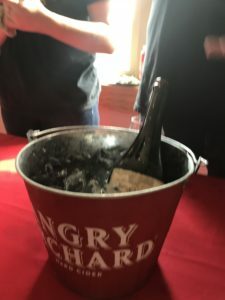 One of the major standouts to me personally was how many great ciders there are in New York State, and now with apple season in full force, it’s a no-brainer that this would be the choice ingredient. 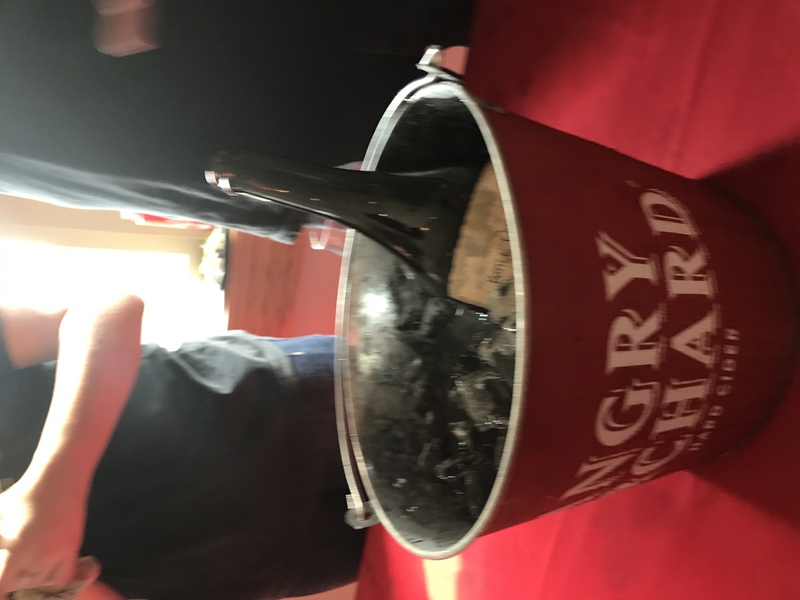 Some of the cideries featured were Brooklyn Cider, Doc’s Draft Cider, Bad Seed, and of course, Angry Orchard, which brought some of their unique ghost bottles to wow guests! 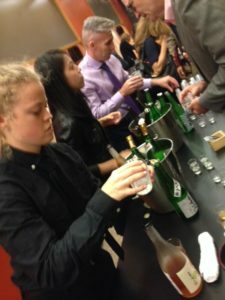 The most eye-popping and tastebud gamechangers of this category that I tasted was actually not made from apples but beets. If you are not afraid of beets, Pennings Farm Ginger Beet Cider is worth the taste – plus the pinkish-purple is quite mesmerizing! If you are not a cider traditionalist, then Doc’s Draft Hard Pumpkin is a refreshing change guaranteed to get your proper pumpkin spice fix for this year. If beer is your vice, then there are no shortage of breweries in New York State. My latest beer obsession was Greenport Brewing was there with two of their finest beer. I found my newest favorite IPA from War Horse Brewing called Lieutenant Dan. Yes, named after Lieutenant Dan from Forrest Gump. For wine lovers, there was a wonderful selection: including Stoutridge Vineyard which has no sulfates. It was incredibly fresh. The take the whole farm to table movement to heart. 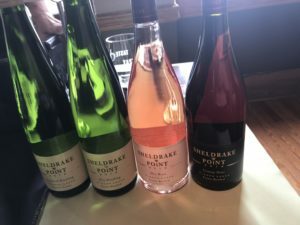 Other amazing wineries that should be noted for their deliciousness are Sheldrake Point and Enlightenment Wines. But if you’re after something stronger, New York State does have a fine share of spirits. One of the most intriguing spirits happened to be called Mahia from Morocco and made from figs from Nahmias et Fils Distillery in Yonkers. 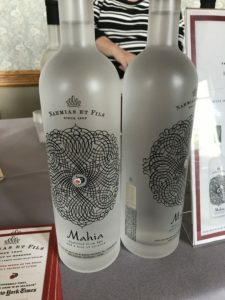 They are the only local Mahia spirit in the US. Another notable spirit producer is Hudson Valley’s Denning’s Point in Beacon with their award-winning Maid of the Meadow, herbs and wild honey infused in a wheat-based spirit, which mixes quite well in cocktails or is quite lovely to just sip.